As soon as most kids begin their athletic journey, their parents encourage them to play as many sports as possible. As long as the parent thinks their kid is having fun, they will continue to play those multiple sports. However, once they start to seriously commit to athletics,some kids realize that they have the potential to play at the collegiate or even professional level, thus begins their one-sport career while their multi-sport career slowly fades away. In order to play at the highest level, they constantly practice, often to the breaking point. Although these athletes believe they are creating a future for themselves, the reality is the constant practice slowly leads the athlete down a dangerous rabbit hole that can, at times, end their career. A rising trend in high schools across the nation is the one-sport athlete. As the name suggests, a one sport athlete is an athlete who chooses to focus on one sport during the year instead of partaking in two or three. While many of these athletes play one sport because the demands of multiple sports can tire even the most conditioned of players, the majority of the one-sport athletes pursue their sport with gusto throughout the year in the hopes of playing at a collegiate or professional level later in their life. There are both pros and cons that come with being a one-sport athlete. The major benefit to focusing on a single sport is that players can hone and refine certain skills, instead of having to juggle perfecting multiple techniques for sports with overlapping seasons. The lack of distractions from other sports allows players to solely focus on the skills specific to their main sport. For an athlete who only plays school sports, there is the plus of having a long offseason, a benefit that they wouldn’t receive playing multiple sports. The extended offseason allows them to give their body a chance to rest and return to full strength. Take Paly senior Aiden Gans (‘19), who started wrestling in third grade and stopped halfway through high school. Right after he started wrestling, Gans picked up lacrosse in fourth grade. Remarking on the practice hours, Gans said, “In season I spent about 15 or so hours [playing lacrosse], out of season I spend about six…I have a whole lot more time… and a lot more focus on that sport.” The lack of other sports allows for a greater flexibility of time commitments, allowing Gans to spend time recovering from the past season, getting in shape for the coming season, or spending time brushing up on his skills. 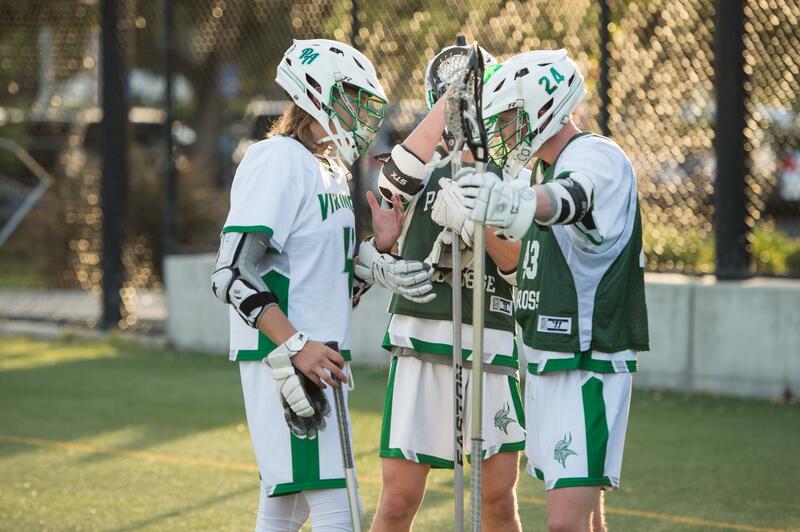 Unlike other students at Paly who play multiple sports, Gans has the fall and winter seasons to gain an edge on the lacrosse field. The freed up time allows those who yearn to play in college the ability to take the next steps towards achieving their dreams: joining a club team. High school athletes with dreams to play at the next level often join club teams that organize their schedule so that as soon as the high school season is over, an athlete can go directly into their club sport. Right away this cuts into the recovery period, wasting the precious time until the idea of rest remains only as a memories. The club sport turns what was a three month sport into a year round sport. The decision to forfeit recovery times comes with the promise of more practice and increased skill that could help pave the way to performing on the collegiate or professional level. This is where the cons of the one-sport athlete come into play. With less time to focus on recovery, the one-sport athlete becomes more vulnerable to injury. Besides the added stress to their daily lives and the fact that injuries occur in sports, the constant repetition of the same motion over the course of a year with little rest exposes athletes to the risk of a RSI, repetitive stress injury. Reflecting on his wrestling career, “some of the past sports I played, it was really hard because it was really intense repetitive motions,” Gans said. Yet these injuries can still occur without the athlete playing a club sport, or even playing year round. The main causes of these injuries is the simple fact that high school athletes are still kids, and therefore still growing. Brenner writes that “The risks of overuse are more serious in the pediatric/adolescent athlete for several reasons. The growing bones of the young athlete cannot handle as much stress as the mature bones of adults”. As a result, even if high school one-sport athletes don’t play club sports, the risk of an injury due to a repetition can still occur despite their efforts to remain healthy. Despite the most common injury for the one-sport athletes is physical, a psychological threat constantly remains at large and hampers with their ability to play. The threat: burnout. Burnout in athletes can be diagnosed as cognitive-affective syndrome, which is a syndrome that can eventually causes damage in the cerebellum of the brain. This damage is due to the chronic stress burnout athletes face. As players achieve higher and higher levels of a single sports, the amount of players that burn out also starts to increase. At a certain level of any sports there is nothing new to learn, all there is left for athletes to focus on is refining and advancing their old skills, causing a lack of incentive to take effect.. As a result, burnout is one of the main causes that leads athletes take a break from or discontinue their athletic career. Burnout is especially influential in people who are affected by others around them and are indecisive because they want to follow what others around them are doing. This is why it is possible to see multiple players burnout at the same time and leave the teams together, if they were on the fence about it before. Things that strip motivativation away from once amazing athletes can vary from stress in time management to missing out in social gatherings because of their sports. Half of the battle of burnouts comes from the character and motivation of an individual player. Some athletes reach a point where they cannot keep doing the same set of practices everyday, and feel like they are a factory working that never sees a change in their job. Although common in all athletes regardless of the number of sports played, burnout occurs with a greater frequency in athletes who only play one sport. The main reasons for burnout include parental or peer pressure, physical exhaustion, chronic stress, low self-esteem, and boredom. Similar to the repetitive stress injuries, burnout results in the constant stress of trying to perform constantly at the highest level with little rest. The result of playing the sport year round combined with performing the same actions repeated results in the mental burnout of many athletes, forcing them to continue and suffer or quit the sport they have dedicated countless hours over the course of their lives. In addition to stress, the “athlete may also have fatigue, lack of enthusiasm about practice or competition, or difficulty with successfully completing usual routines.” The report, “Overuse Injuries, Overtraining, and Burnout in Child and Adolescent Athletes, continues “ Burnout should be recognized as a serious sequela of overtraining syndrome”. The feeling of burnout is like no other. Emotionally trapped in a cycle of endless dissatisfaction causing one to fall into a period of gloom, resulting in a lack of motivation in a sport that was once loved. 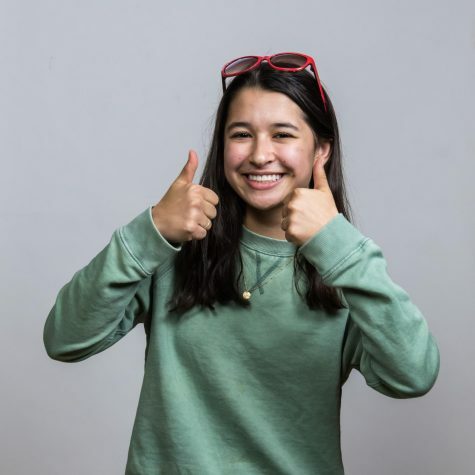 “[Dance practice] just wasn’t the same,” dancer Olivia Ramberg-Gomez (‘20) said. 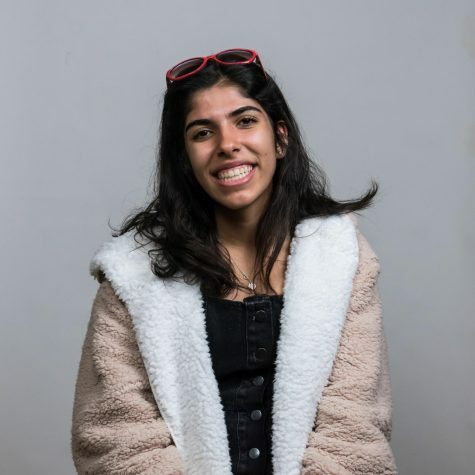 “I’d always try to get out of it because I didn’t have anymore motivation to push myself and work hard”. One aspect of Paly that is well recognized is the athletic department. Throughout the years the school has been applauded for the amazing achievements of young athletes. For example, in the past two years alone the boys and girls basketball teams have collectively brought home four league championships. Nonetheless, all of this success overshadows the struggles, such as burnout, that many of our athletes face as a result of their rigorous training and the pressure to be the best. Aidan Gans, a senior on the varsity lacrosse team, is an example of this. Gans was previously a multi-sport athlete who played on Paly’s wrestling and lacrosse teams since he was a freshman, but he burnt out of wrestling. Similarly to Gans, parental pressure is the cause of many athlete’s burnout. When a parent has a child actively participating in a sport, it can be easy to become overly-invested in the athletic lifestyle and try to live through their kids. When this happens, the child athlete’s feelings are made less of a priority and often ignored. Over time the constant critiques, consequences of failure, and dehumanization become too much for the athlete to handle, and their sports become more like a chore rather than a hobby. There are several ways of preventing burnout in athletes that range from simple changes in practice, to working on mental skills that take time to refine. A good and easy start to change is having coaches make workouts interesting, if athletes are having fun they will willing participate and the idea of burnout is less likely to occur. Another idea that some find controversial is allowing a couple of days a week for athletes to just rest and let their bodies heal. It is when athletes are forced into a constant grind of work that they start getting discouraged. If they are offered days to rest, top notch athletes will begin to miss their sport and upon returning will play better than if they were forced into practice. In addition to giving breaks periodically among weeks, it is beneficial to give athletes the time to take longer, full vacations. Athletes can take this personal time to get fit condition, refine skills and get better on their own. The easiest solution, however, would be teaching athletes about the dangers of burnout. By learning the symptoms, the athletes can then have greater awareness of the injury and will also know if they are starting to be affected. The increased knowledge could also lead athletes to seek treatment to ensure they avoid both the physical and psychological strains from their respective sports. As for now, it is best that families and athletes start working towards creating better sports environments to prevent severe burnouts.